In ever-increasing numbers, people around the world are opting for a vegan lifestyle (eating a plant-based diet and eschewing animal products such as leather), and those who do report feeling happy and healthier, with boundless energy and glowing skin among the benefits. But what happens when their love interest unapologetically orders a steak on a date? Vegan Love offers guidance on how to spread the vegan love and bring compassion for all beings into one’s romantic life. Going cruelty-free need not mean alienating potential partners or long-term lovers. Author Maya Gottfried shares her experiences of going vegan and playing the vegan dating game, as well as insights by notable vegan women, both straight and LGBT, from various walks of life, including Jane Velez-Mitchell of JaneUnchained.com; Marisa Miller Wolfson of the film Vegucated; Jasmin Singer, author of Always Too Much and Never Enough; and Colleen Patrick-Goudreau of the Food for Thought podcast. 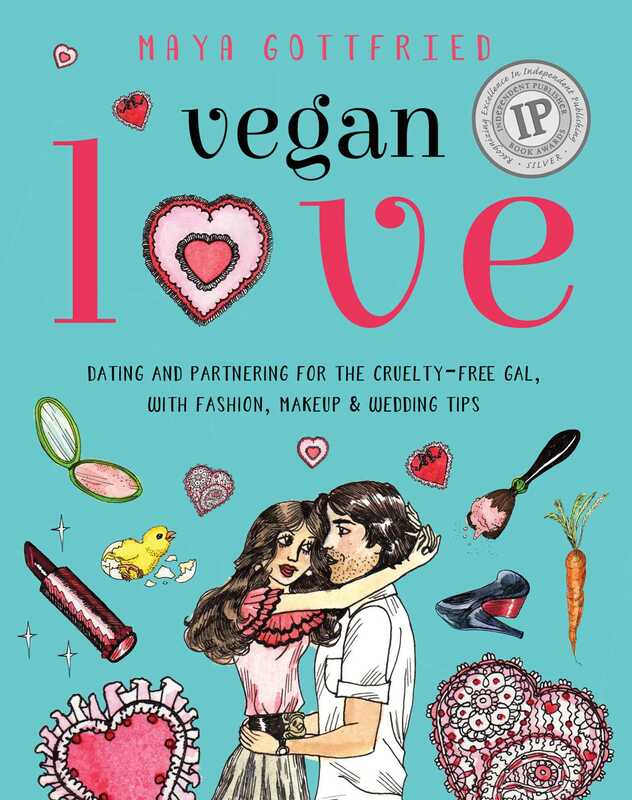 Vegan Love also features a wealth of fun, practical advice about vegan makeup, vegan clothes, and vegan weddings, with a detailed resource guide.